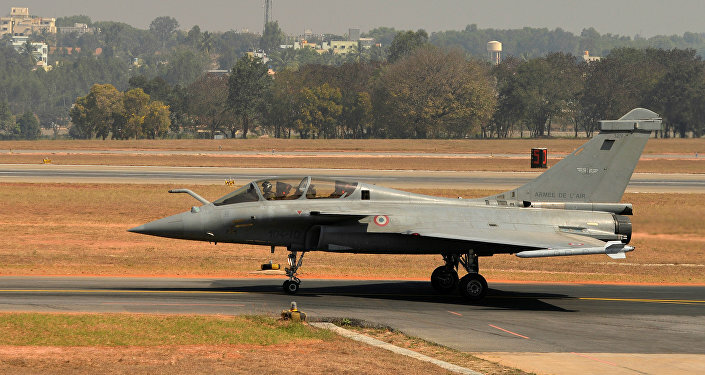 Replying to the opposition charge of irregularities in the fighter jet purchase from France, the Indian Defence Minister has justified it while informing Parliament that the fighter jet strength of the country had fallen substantially during the last decade in contrast to China & Pakistan, who have been adding air power. Facing a concerted opposition attack within and outside parliament over the $8.7 billion Rafale fighter jet deal with France, the Indian government has justified the contract, calling it the "need of the hour". India's Minister of Defence Nirmala Sitharaman, while taking part in a debate on the deal in the country's parliament, said that "the off-the-shelf purchase of the fighter jet was the need of the hour" as political adversaries have been adding strength in air power very fast while the depleting strength of fighter jet squadrons was posing challenges to the Indian Air Force (IAF). "China added over 400 fighter jet between 2004-15. Pakistan doubled their number of F-16s and added 43 JF-17 planes to its air force. India had 33 squadrons in 2015, down from 40 in 2004," Nirmala Sitharaman, Minister of Defence said while replying during the debate on controversial Rafale deal. The minister also added that the Rafale deal with the French company Dassault Aviation was on a better delivery schedule than what was negotiated by the previous regime led by the opposition. "The first aircraft will be delivered in September 2019 and 36 aircraft will be delivered in the year 2022. The process of negotiation was finished in 14 months," Sitharaman added. ​The Indian minister sought to justify the purchase, saying that "We have to recognise the sense of urgency." The Defence Minister during the debate on the Rafale jet deal in Lok Sabha: We have had wars on the northern and western frontiers. Purchasing equipment in a timely manner should be the priority. We have to recognise the sense of urgency. ​India's major opposition party, the Indian National Congress (INC), has been demanding a Joint Parliamentary Committee(JPC) probe of the deal which was concluded in September 2016 under a government to government deal with France. Former French President Francois Hollande, who approved the deal while in office, triggered a political storm in India after he was quoted as saying by a French website that the Indian government influenced the choice of an offset partner in the deal. Congress alleged that the deal is not transparent and that the Modi government overpaid Dassault Aviation and favoured Indian businessman Anil Ambani in the deal.